Reflected in the championship banners that hang in the 1st Choice Savings Centre for Sport and Wellness, on the Pronghorns Hall of Fame wall that celebrates its three successive national titles, in the eight Academic All-Canadians on the current roster, with the five players elected to the 50 Greatest Pronghorns list and throughout southern Alberta as coaches, managers and stewards of the game in virtually every high school program — the identity is rooted in fundamental values that breed success. Their philosophy was simple enough. 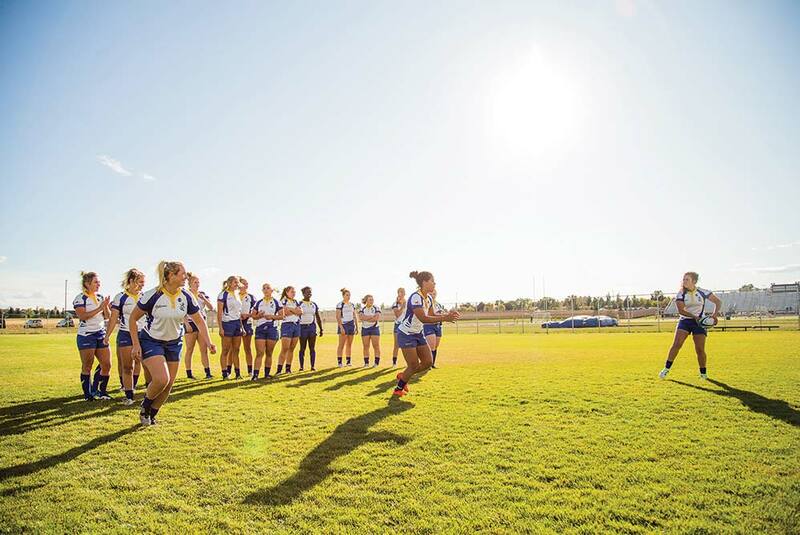 With a mantra that preached process before results, they implored everyone in the program, from players to coaches to athletic therapists, to simply try and make Pronghorns rugby better today than it was yesterday — and then do it again tomorrow. Success came relatively early for the program. After debuting in 1999, the Horns captured Canada West bronze in 2001 and two years later had a first appearance at nationals. A run of five successive Canada West titles would follow and from 2007 through 2009, the Horns reeled off three straight national titles. In a short 10 years, Horns Rugby became the national measuring stick. Even more significant than what was taking place on the field was the ripple effect of Pronghorns Rugby throughout southern Alberta. Initially a fringe sport, it took time to move into the mainstream and begin attracting the region’s best athletes. Even southern Alberta’s greatest rugby product, Olympian Ashley (Patzer) Steacy (BSc ’15), had to be coaxed into taking up the game in her high school years. Steacy was dragged to the pitch by a close friend and implored by coaches to be more than just a practice player on her first exposure to the sport. Once she hit the field in a competitive setting, the game hooked her. She enjoyed the contact, its empowering nature and the sport’s welcoming culture. Langevin says a major factor in the growth of the game, aside from the success of the Pronghorns, was the simple fact that its varsity sport status at uLethbridge gave it legitimacy in the southern Alberta sporting community. In 2008, the Pronghorns hosted the national championship tournament and parlayed it into a showcase of the women’s game. Perfect weather, coupled with a championship performance by the home side pushed the game to the forefront and local area high schools jumped on board. “If you look at the number of high school programs that now have both a junior and senior varsity team, even the small schools, it’s impressive. Look at the complete dominance of our high schools at the provincial level, I think that’s evidence of what was achieved through that 2008 tournament,” Langevin says of the exposure it gave the game. 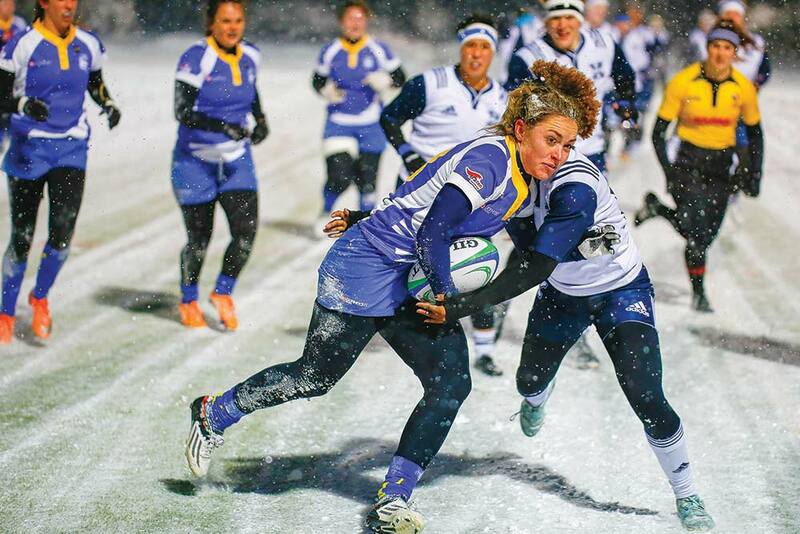 When the Horns played host to the 2017 USPORTS National Championship tournament, the focus was less on educating the public about women’s rugby and more on celebrating its strengths. Both Langevin and Steacy see a completely different rugby landscape now than 10 years ago. 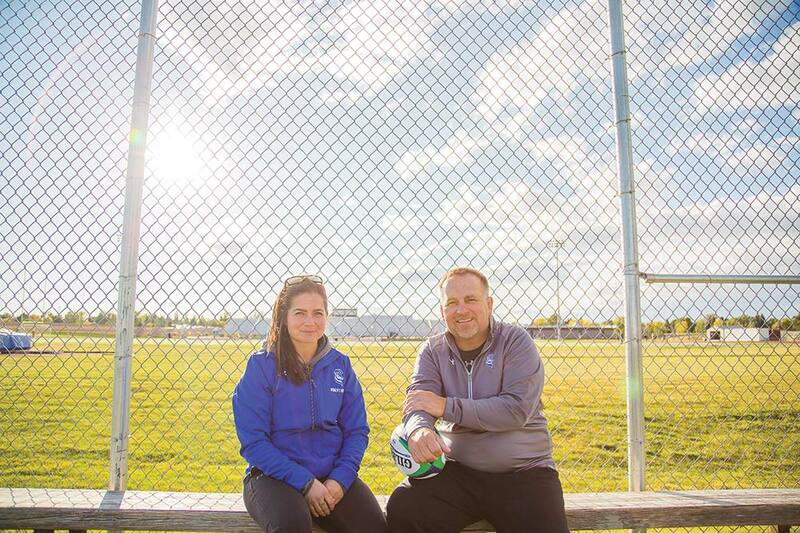 “It used to be where we would have maybe one or two players from the provincial team come to the program and now, the vast majority of our players have been playing for five or six years, and they’ve played at the provincial level or national junior level,” says Langevin. The challenge now is mining the depth of talent found throughout western Canada and the centralization of national programs on the west coast. With the National Sevens program based in B.C. and talk of the 15s also centralizing on the coast, much of the country’s elite-level players are gravitating to B.C. schools. For the Pronghorns, it translates into an even sharper focus on growing the game in southern Alberta and strengthening the home base. Steacy says this philosophy created the platform for the national powerhouse teams of which she was a part. As much as she is wont to admit, she was the lone star of her recruiting class, but rugby success in particular isn’t predicated on individual talent. “I think back to 2005 when our group of eight came in, there weren’t a lot of big names in that group, and through developing together and having that bond throughout the years, we found you don’t necessarily need all those big names to be successful,” she says. “It’s about establishing a culture, a trust, and a belief that you can do something special. It’s a culture that is alive and well today and an identity that Steacy and Langevin are proud to nurture, not just internally but throughout southern Alberta. "Thank you so very much for placing your trust in me and encouraging me at a time when I desperately needed it. " Dr. Gloria Tian, an associate professor of finance at the University of Lethbridge’s Calgary campus, wants to know more about the relationship between corporations and the non-profit sector, and how the relationship enhances economic and social welfare in a country.